So as the end of 2009 creeps ever closer I thought I would once more take part in a yearly Meme. I did this back in 2008 after seeing it on Stuck in a Book and adapting it somewhat. This year the results have suprised me again. Who knew I read so many male authors, I am most suprised. Anyway as ever I have added some questions to it on top of the ones I added last year and here it is. This year has been my best reading year yet with me reading 131 books, beating last years 102. Lets hope I can do even better in 2010. Mind you reading shouldn’t be a race and one of my resolutions will be to get through some more tomes I own. 120 works of fiction this year and 11 non fiction. Take in to account I read the same author more than once this year I read 55 male authors and 41 female authors. This shocks me (it did last year too) as I always think I read more women authors than I do men, not so apparently. I think my very favourite book published in 2009 was Brooklyn by Colm Toibin, understated brilliance, but my favourite book is a joint tie with Armadale by Wilkie Collins and East Lynne by Ellen Wood… ooh or Henrietta’s War. You will have to see the post on Thursday. Netherland by Joseph O’Neill I couldn’t bare it, bored me silly. I had some I didn’t finish which don’t count. Home by Marilynne Robinson, some people love her work; I am just not a Robinson fan. Its beautifully written but doesn’t do anything for me. I would say it would be one of the Sensation Season novels, I haven’t thought about what year they were published. How lazy of me. After The Fire, A Still Small Voice by Evie Wyld has only been recently published and recently read by me. I also think that this book has my cover of the year, its stunning. Alices Adventures in Wonderland and Through The Looking Glass by Lewis Carroll and Basil by Wilkie Collins. Armadale at 880 pages was the longest, the shortest was Lady into Fox which was only 92 pages long, but both were wonderful. The Childrens Book probably felt like the longest. Six library books this year which is six more than the last! Voice Over by Celine Curiol, A Perfect Waiter by Alain Claude Sulzer and I Served The King of England by Bohumil Hrabal. I want to read more translations next year as feel I am missing out. Mind you some books I read I don’t realise have been translated which is shameful. Wilkie Collins is my most read author. I managed eight by him again through the sensation season. I already have a sneaky suspicion who my most read will be in 2010 but my lips are sealed for now. The Woman in White, The Woman in Black, The Man in the Picture, Lady Audley’s Secret and The Picture of Dorian Gray. Oooh it has to be Lydia Gwilt as she is just a brilliantly evil and malicious character who I ended up warming to in Armadale which is really quite wrong. Hmmm, let me see… The British Isles, The Czech Republic, America, Bosnia, Russia, Germany, Wonderland (ha ha), France, Pakistan, Canada, Italy, India, Japan, Afghanistan, Switzerland, Ireland, China, Australia, Brazil, Africa and Jamaica. Phew, its no wonder I am so tired. I wouldn’t have read the superb Flowers for Algernon without it being a recommendation by Jackie for the Book Group I started with Kimbofo this year. 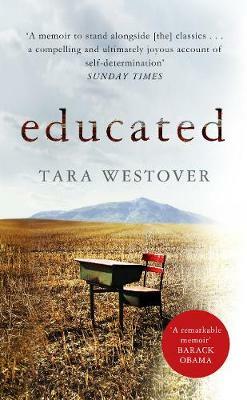 It was superb and I am so, so pleased I have read it and have it to re-read. Colm Toibin, Kamila Shamsie, Ellen Wood and Hilary Mantel. Oh a few in fact there was a list of ones I owned that I should have read, mind you my whole TBR is a pile of books I should have read. I would say today its Elegance of the Hedgehog by Muriel Burberry. Its one to look forward to next year though. Another thanks to book group and to Gemma who chose George Orwell’s 1984 always wanted to read that and never quite got round to it. Other titles I have wanted to read and now have are East Lynne, Armadale, In Cold Blood and Small Island all were great successes. There you have it. I would love it if people had a go at this on their blogs (though if you could leave a link where you saw this version that would be lovely) and then leave links to theirs so that myself and others could pop by and have a nosey. You may have already done one so do leave a link and let me know. If you dont have a blog you could always answer the questions on here in a comment maybe? I will be having further reflections of 2009 on Thursday just hours before 2010 starts. Does the whole idea of it being 2010 freak anyone else out? Its come around too quickly hasnt it? 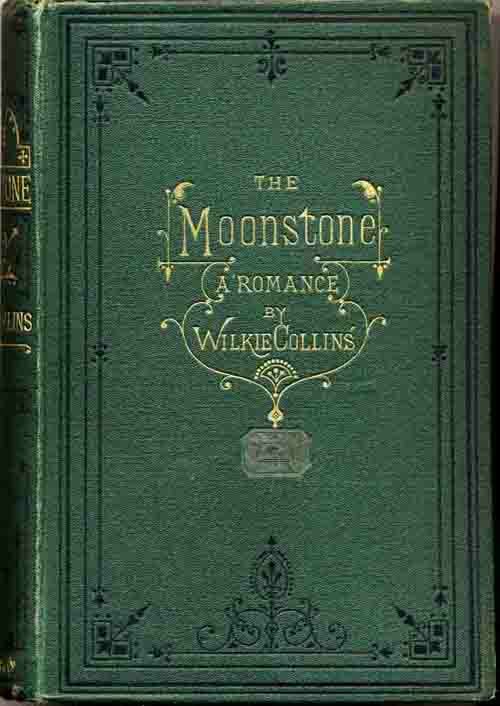 The Moonstone is the final Wilkie Collins read of the season (though thankfully I have still many Wilkie books to go or I would possibly be in despair). This is possibly one of the most famous of Wilkie Collins novels and so telling you all about it and my thoughts on it might really be preaching to the converted. The book opens in 1799 when during a siege of the Indian town of Seringapatam when Colonel John Herncastle steals ‘The Moonstone’ from a religious statue not knowing that the stone is cursed. He comes back to be ostracised by his family and so in an act of revenge disguised in giving kindness he leaves the stone to his niece Rachel in the hope the curse passes onto her. However her cousin Franklin Blake finds out the secrets of stone and the real reason for its inheritance when he brings it to Rachel. It is when she receives it that after years of keeping the stone protected and hidden she merely leaves it in her bedroom cabinet where of course it disappears during the night. What follows is one of the greatest detection novels in history, and one that I think it would be wrong to give anything more away about, other than stating that it is brilliant. The book is just as filled with wonderful characters as ever such as the reticent Rachel, the mysterious Rosanna Spearman, the brilliant Sergeant Cuff (who steps in after the police are all inept) and my favourite ‘Limping Lucy’. However characterisation isn’t really the point of The Moonstone, it is clearly plotting that is and unlike other sensation fiction we aren’t looking at bigamy, murder and social mysteries this is a full on mystery of theft. Naturally as a Collins novel you can expect many thrills, red herrings and as much suspense as you could wish for. In many ways this book is very different in terms of his other sensation fiction, in fact really I would say this was much more a full on adventure romp than sensation. Being the first proper detective novel (and look what it spawned) it caused quite some sensation at the time. It does share a theme with the other books however, as it does look at social attitudes and, in a way, looks at how people of colour were treated in England at the time through three Indians who appear in the book. I also think that Collins made a concerted effort through his strong female characters in particular Rachel (who I wondered if inspired Du Maurier’s ‘My Cousin Rachel) he tried not to make this too much of a boys book and I think as ever he succeeded. This book is absolutely brilliant; I don’t think I can say more than that. I cannot believe that we are already at the penultimate Sensation Season read. I am especially sad that this is the last Wilkie read I will have for a while, like I said before though at least I have made sure I have many more of his works left for the future. It’s all gone a little too fast with only one more to go as we see the New Year in which is Charles Dickens ‘Great Expectations’ in two weeks. I hope you will all join in. So who out there has read The Moonstone and what did you think? Remember no plot spoilers please, though am not sure there are many people who haven’t read this are there?